In the last breath of the twentieth century, a speech was delivered in the East Room of the White House of America, to reflect on the calamities of the century as it fell: two world wars, countless civil wars, a senseless chain of assassinations, bloodbaths in Cambodia and Nigeria, India and Pakistan, Ireland and Rwanda, Eritrea and Ethiopio, Sarajevo and Kosova, the tragedy of Hiroshima, Auschwitz and Treblinka. “Indifference is always the friend of the enemy, for it benefits the aggressor – never his victim, whose pain is magnified when he or she feels forgotten. The political prisoner in his cell, the hungry children, the homeless refugees – not to respond to their plight, not to relieve their solitude by offering them a spark of hope is to exile them from human memory. In denying their humanity, we betray our own”. Miles away from the White House, this week I spent some time at Oreti Beach and thought about the challenge of indifference and how each of us can draw on our superpowers of courage to overturn a crisis. Such deep reflections are all to do with the taonga species, the toheroa. Oreti Beach is home to one of the largest populations of toheroa; and yet motorbikes and four wheel drives are rapidly endangering their very survival. The ancient sand-dune system, over 6000 years old is being damaged by amateur motor-sports. There are only about four beaches in the whole of Aotearoa that provide a suitable habitat for toheroa. Toheroa require a wide flat beach that allows the wave to run off so that the babies, just under the surface, don’t get dug out by the waves. After spawning, the toheroa bury themselves just under the surface in the soft sand. Not content to just sit by and let the toheroa become extinct, Te Ao Marama – a consortium of the Southern iwi – worked with Invercargill City Council and other agencies to protect these Southland icon. Te Ao Marama takes care of the day-to-day management of Resource Management Act matters under the Local Government Act 2002. Te Ao Marama is run and operated directly by representatives from each of the four Papatipu Rūnanga in Murihiku/Southland, and some representation from Te Rūnanga O Ngai Tahu when required. All it took was the initiative. And now the protection and responsibility for these taonga tuku iho is placed in all of our hands. 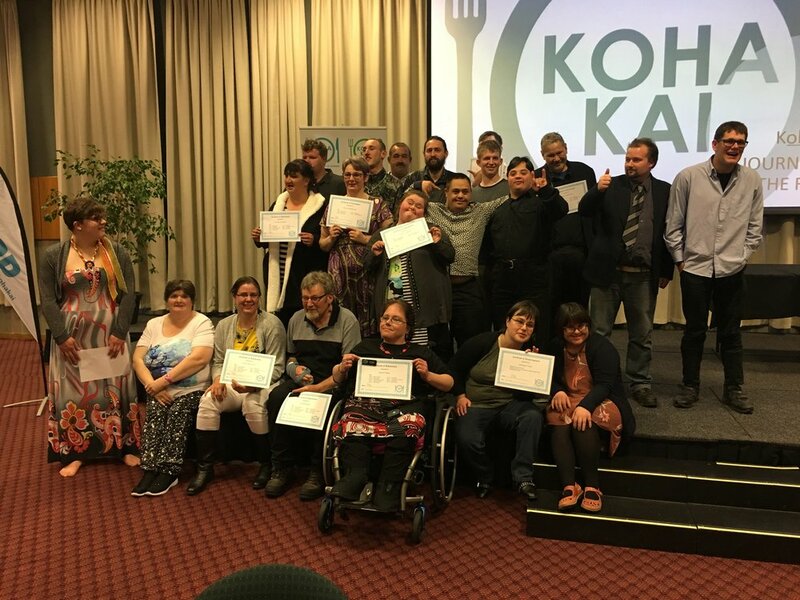 I was in Invercargill to attend the Koha Kai Awards evening which represented the graduation of their kitchen and garden trainees. It was a wonderful night, over-brimming with the energy of success and an excitement fuelled by pride. From the opening karakia from Kanui Poharama, to the delight of Courtney Cleghorn running up to the stage to collect her certificate, it was a really happy night. The local Southland Mayor, Gary Tong – who is also the Board Chair for Koha Kai – spoke about the leaps and bounds that Koha Kai is achieving. At its heart Koha Kai is about community transformation - good quality home cooked meals that are affordable, as well as opportunities to inform whānau of environmental matters, planting, recycling, composting, harvesting, pruning, and nutritional gain for the brain. During the process of creating maara kai; Koha Kai builds resilience, capability and confidence. It is about inculcating core kaupapa: awhi; tautoko; manaakitanga. A for ability – to strive to exceed expectations. Congratulations to all the trainees, and graduates of Koha Kai! While we’re on the topic of sports, This years Ipukarea Sports Day is being hosted by Ngāti Apa ki te Rā Tō on Saturday 24 November at Landsdowne Park in Blenheim. Hākari and prizegiving are at Omaka Marae. The confirmed sports are netball, touch and ki o rahi. I ended the week speaking at the re-launch of the Women’s Network across Christchurch Prisons. During the afternoon, a camellia tree was planted in honour of 125 years since Women’s Suffrage; and there were speeches from key women in leadership across the Corrections landscape. Rachel Leota, Acting Deputy Chief Executive attended the event and spoke of the 5000 women working across our prisons and probation service. It was also a great opportunity to acknowledge Deb Alleyne, who has been formally appointed as the role of Prison Director for Christchurch Women’s Prison. A tribute was also given during the afternoon to the late Ces Lashlie. Ms Lashlie was the first woman to work as a prison officer in a male prison in New Zealand. She also ran Christchurch Women's Prison, a position she left in September 1999. Since her time in the prison service, Ms Lashlie had become a strong advocate for a change in the approach to dealing with domestic abuse. On 16 February 2015, in what would be her final words, Celia Lashlie shared the meaning of Faith by Patrick OverIton. Today in the launching of the Women’s Network you are doing both – creating a solid foundation to support the talents and tenacity of women within Corrections as well as giving permission for hopes to fly; for ambition to grow; for skills to be recognised. A reminder that the Ngati Koata Rangatahi Wānanga Reo is happening on the second week of the school holidays, Monday 8 - Thursday 11 October. It’s not too late to register the attendance of your rangatahi. Simply click the link below and we'll be in touch with more details. The theme for Mental Health Awareness Week this year is Let nature in, strengthen your wellbeing – Mā te taiao kia whakapakari tōu oranga! From learning about native birds and picking herbs from the garden to seeing the sunset from the kitchen window, this week, use the great outdoors to grow, support and nurture your wellbeing! Have a look at some of the events and activities taking place this week across Te Waipounamu. Ashburton District Council invites residents and vistors to join us at Baring Square West lawn on Monday, 8 October at 12pm to help kick-off our week-long campagin in support of Mental Health Awareness Week! 7:30pm-9:30pm at the Blind Foundation – FREE. Suitcase Theatre's Mental notes 2.0 excerpts; Inspirational speaker Chloe Searle, and try Rock 'n' Roll Dancing. Forest bathing is a very slow gentle walk through nature. This practice invites healing interactions through connecting with nature and oneself. It is found to reduce stress, anxiety, and the symptoms of depression by opening the senses, slowing down, and mindfully moving through the landscape. Bathing in the atmosphere of nature is found to be very therapeutic and relaxing. It's suitable for all ages and fitness levels. I can be the guide but nature is the therapist. A film about the migrant community in Oamaru. Greening the Rubble / Yoga by Kotte. Bizdojo Ash Street. This Mental Health Awareness Week event will include a nature-inspired mindfulness practice and a short talk on the benefits of green space for your mental health and wellbeing.